The impact of cryptoanarchy and sharing economy to our future. NOTE: Consider my presentation as my personal crypto-anarchistic vision. Despite the fact it may be sound a bit apocalyptical, almost everything mentioned in the presentation is technically feasible in these days, and it is quite likely the rest will be possible in the following years. All predictions referred in the presentation are the result of my inspiration of many people – Frank Braun, Smuggler, Paul Rosenberg, Susanne Tarkowski Tempelhof, and many other crypto-anarchists and anarcho-capitalists. Often my predictions are right, but I am techno-optimist – everything is happening slower than I usually predict. The current governments have difficulties to cope with a lot of rising sharing economies – we could see a lot of anti-Uber and anti-Airbnb demonstrations in almost every developed country leading to strict regulations or a complete prohibition of sharing economy businesses. It is likely that in all countries where Uber/Airbnb is regulated, people will start to use a crypto-anarchistic decentralized version of Uber/Airbnb with anonymous cryptocurrencies through anonymization networks (be aware, there is a decentralized Uber based on blockchain called http://arcade.city). Due to the increased government regulations leading to a cashless society, we should expect a prohibition of anonymous transactions (because of “threat of criminals and terrorists”) for legal purposes. Logically more and more people will start to use real anonymous cryptocurrencies (like Anoncoin, Darkcoin, ZeroCash, Zerocoin). 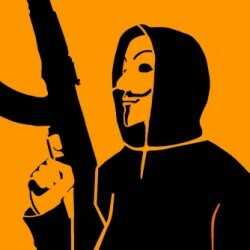 Anonymous cash will be prohibited in the most Western countries leading to the rise of street racketeers offering different cryptocurrencies. Because of a huge inflation and impossibility of the government to fulfill their essential functions, we should expect a rise of virtual voluntary states (e.g. Bitnation). They will be commercially attractive and offer many advantages/citizenship protections including many social benefits replacing the current governments. The drastic regulation of the traditional fiat offshore banking and absence of banking secrecy will lead to offshore based on cryptocurrencies. Thanks to colored Satoshi, it will be possible to implement decentralized and competitive Free Banking. CALEA II (mandatory government backdoors in all crypto solutions offered in the US) will be approved. Other developed countries will adopt the similar legislation allowing the government to intercept and monitor the communication of all their citizens. Cryptomarkets will go mobile – UX / Usability of cryptomarkets will be significantly improved. Most people will be able to visit and use decentralized cryptomarkets without technical knowledge. In the following years, there will be a universal sharing economy mobile application allowing anyone to provide his/her services to anyone without government control and enforced taxation. It will be an entirely decentralized solution using anonymous crypto-currencies that will be impossible to shut down by the government (like Bitcoin). We should expect increased criminalization of cryptomarket’s users. As a consequence, there will be an availability of anti-government insurance (in the case of cryptomarket use, drug possession, bypassing surveillance laws, using cash, ..) which will be provided by decentralized and anonymous insurance companies. Providers of Tor exit nodes and OpenBazaar nodes will be probably cruelly victimized and criminalized. The decentralization becomes crucial thanks to the massive increase of decentralized Internet solutions (funkfeuer, Serval Mesh, ..) that will be out of the government control. Many Tor/OpenBazaar nodes will be placed in the air or in the poor countries with old-school legislation. Decentralized legal system PAX based on Ethereum (see Codex – a legal scripting language for smart contracts) will become more attractive than legal contracts enforced by the government. The states will start to have difficult times. It will be possible they will have to change the taxation model radically – with no tax for virtual/Internet services they have no control over and high taxation for real-world properties and real-world businesses they still control. Probably some countries will switch to head-tax. There will be a strong separation between the real world and crypto-anarchistic world (“the second realm“), average people will switch to this world after they see cryptoanarchy succeeds. Despite the precedents like Ross Ulbricht’s case, politicians cannot win their fight, and they have to adapt to the crypto-anarchy / free-market rules. Unfortunately, a lot of innocent people will be sacrificed during this battle. See my Prezi presentation Impact of crypto-anarchy / sharing economy to our future. Pavol Lupták is a cryptoanarchist and voluntaryist focused on technology and society hacking. He has started the initiative 'We do not work for the government' (http://www.nepracujemeprestat.sk) grouping of all companies in Slovakia and Czech Republic that have decided not to work for the government and state institutions. He is also a member of the famous Czech contemporary art group Ztohoven (http://www.ztohoven.com) responsible for many anti-government contemporary 'media sculpture' projects. 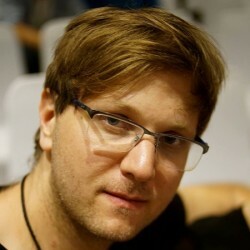 He is a co-founder of Progressbar hackerspace (https://www.progressbar.sk) in Bratislava and Parallel Polis (https://www.paralelnipolis.cz/en/) hackerspaces in Prague where he is responsible for organizing the international cryptoanarchist conference (http://hcpp.cz/), IT security and digital privacy. He is an owner of IT security company Nethemba s.r.o and Nethemba GmbH (https://www.nethemba.com) focused on penetration tests & ethical hacking. He holds many prestigious security certifications. Now he is starting another company Satori s.r.o. (http://satori.sk/) focused on creation of digital contemporary art based on the corporate identity. Achieving a freedom using crypto and decentralized technologies. Interesting post, you definitely know the key factors and players in the crypto-anarchist realm! I was intrigued by the prediction you made that insurance between illicit sellers would reduce the cost of underground sales by taking away some of the cost of risk, if this trend isn’t already taking place then it’s about time that it did!